Article in Press contains peer reviewed accepted articles to be published in MEV Journal. These article has been proofed by author and proofreader but not considered officially published until issue and page number are assigned. Moreover, DOI of the articles in this AiP is also not assigned nor registered yet. 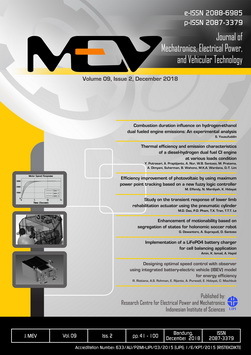 MEV Vol 9, No 2, 2018 is available online since December 28, 2018. 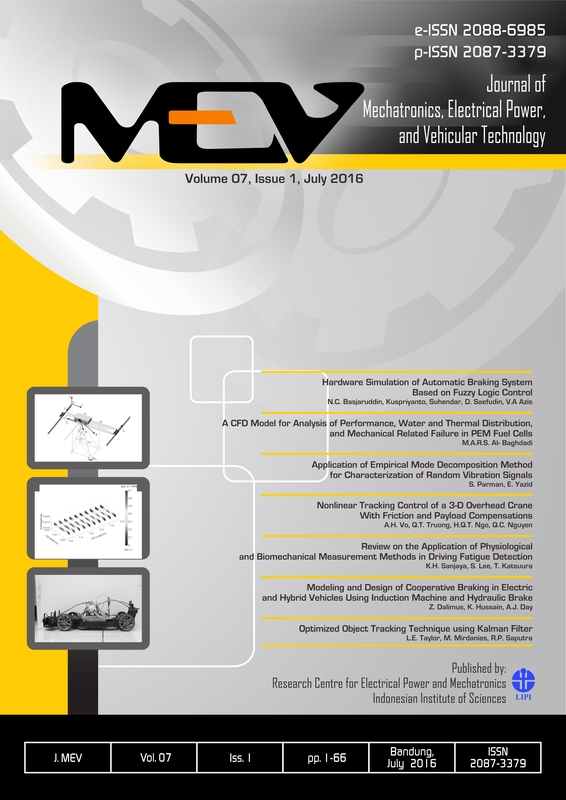 MEV Vol 9, No 1, 2018 is available online since July 31, 2018. The articles in this issue were authored/co-authored by 15 authors from Bulgaria, Indonesia, Slovakia, and United Kingdom. 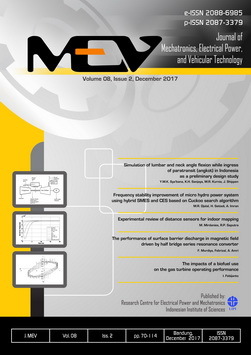 MEV Vol 8, No 2, 2017 is available online since December 28, 2017. The articles in this issue were authored/co-authored by 13 authors from Indonesia, United Kingdom, Australia, and South Korea. 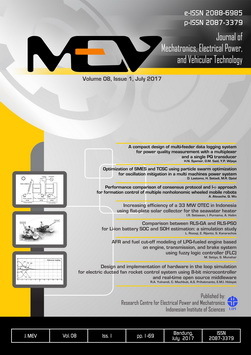 MEV Vol 8, No 1, 2017 is available online since July 31, 2017. The articles in this issue were authored/co-authored by 20 authors from Indonesia, Malaysia, Australia, People's Republic of China and United Kingdom. MEV Vol 7, No 2, 2016 is available online since December 23, 2016. The articles in this issue were authored/co-authored by 23 authors from Indonesia, Libya, Republic of Korea, Japan, and Egypt. MEV Vol 7, No 2, 2016 is available online since July 29, 2016. MEV Vol 6, No 2, 2015 is available online since December 30, 2015. The articles in this issue were authored/co-authored by 30 authors from Indonesia, Malaysia, Philippines, United State, and Australia. 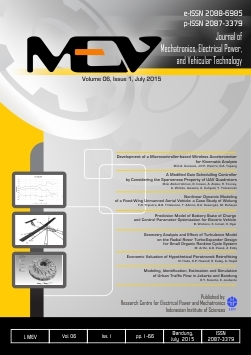 MEV Vol 6, No 1, 2015 is available online since July 30, 2015. The articles in this issue were authored/co-authored by 28 authors from Indonesia, Philippines, Japan, Australia, and Belgium. 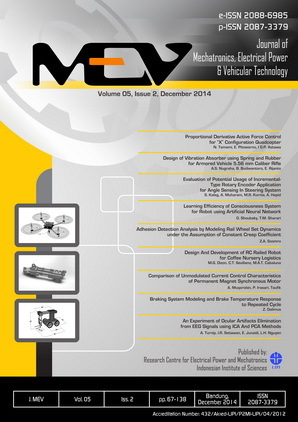 MEV Vol 5, No 2, 2014 is available online since December 24, 2014. The articles in this issue were authored/co-authored by 24 authors from Indonesia, Jordan, Pakistan, Philippines, and Vietnam. 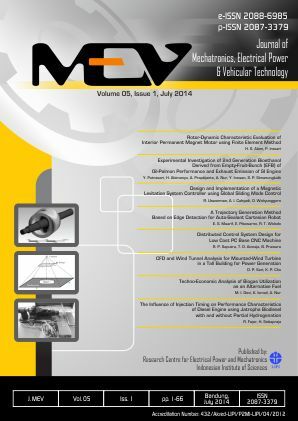 MEV Vol 5, No 1, 2014 is available online since July 23, 2014. The articles in this issue were authored/co-authored by 24 authors from Indonesia and Republic of Korea. 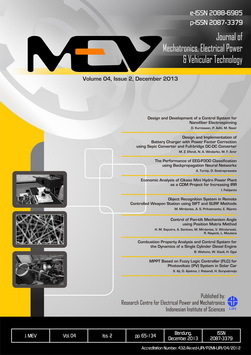 MEV Vol 4, No 2, 2013 is available online since December 24, 2013. The articles in this issue were authored/co-authored by 25 authors from Indonesia and Japan. 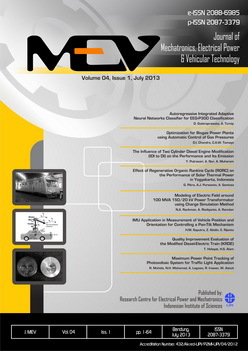 MEV Vol 4, No 1, 2013 is available online since July 30, 2013. The articles in this issue were authored/co-authored by 23 authors from Indonesia, Malaysia, and Germany. 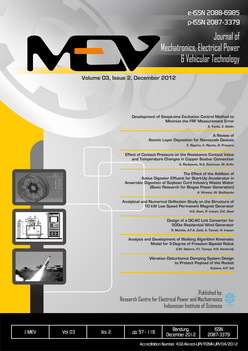 MEV Vol 3, No 2, 2012 is available online since December 18, 2012. The articles in this issue were authored/co-authored by 22 authors from Indonesia, People's Republic of China, and Malaysia. 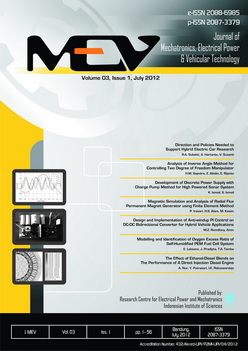 MEV Vol 3, No 1, 2012 is available online since July 31, 2012. The articles in this issue were authored/co-authored by 19 authors from Indonesia and United State. 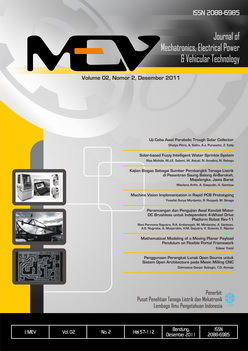 MEV Vol 2, No 2, 2011 is available online since March 09, 2012. The articles in this issue were authored/co-authored by 27 authors from Indonesia and Malaysia. 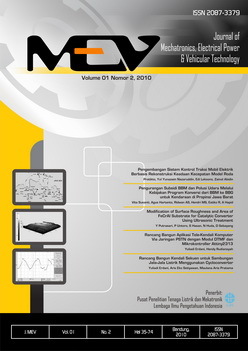 MEV Vol 2, No 1, 2011 is available online since March 09, 2012. The articles in this issue were authored/co-authored by 17 authors from Indonesia. 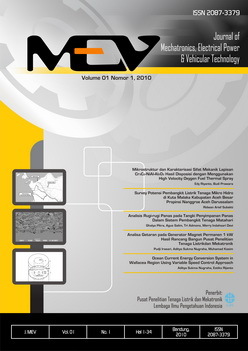 MEV Vol 1, No 2, 2010 is available online since March 09, 2012. The articles in this issue were authored/co-authored by 20 authors from Indonesia. 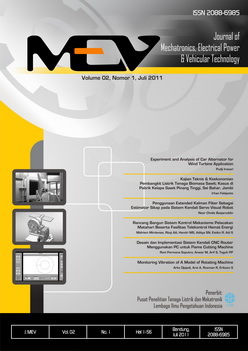 MEV Vol 1, No 1, 2010 is available online since March 09, 2012. The articles in this issue were authored/co-authored by 12 authors from Indonesia.